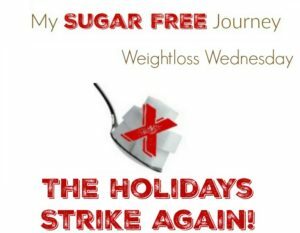 7/6 Weightloss Wednesday: The Holidays Strike Again! It’s time for another Weightloss Wednesday! This was a very interesting week as it confirmed something I’ve suspected for a while, Holidays wreck my weight loss efforts. It’s crazy! It seems like no matter what I do or how hard I work, Holidays and special events just kill me. As of this morning I am at 256.3 lbs which means that I GAINED 3.6 lbs from last week. NOOOOOO! I was so close to being 150 lbs down from 400 and was looking forward to finally crossing that milestone but dang it! Between a big dinner on the 4th and 2 birthday celebrations this week, I just came undone. Nothing to do now but get back on the horse and start again. On the exercise front, I’ve got more bad news. I’ve managed to flatten another bike tire so now I’m convinced there is something wrong with the bike. I think I’m going to have to buy new tires and tubes and hope that solves it but it will be a few weeks before I’m able to spare the money to do that. I’ve put them on a wish list though just in case anyone out there is feeling generous. I realize this edition of Weightloss Wednesday is a bit of a downer as I haven’t actually lost weight but this is what real weight loss is like. It’s not one long uninterrupted series of victories, it has its ups and downs and you have to fight with it a bit from time to time but let’s be real, I’ll take being disappointed over only losing 144 lbs when I wanted 150 rather than the old way of doing everything I knew to do but never losing a pound. I’ll take this level of disappointment over being 400 lbs any day of the week. The week was bad but life is good. 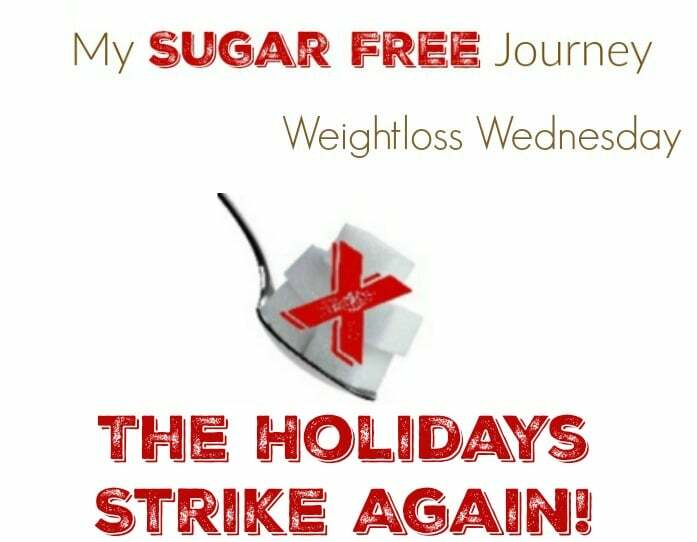 On another note, plans are moving forward for the My Sugar Free Journey Podcast we are launching in August! I started by reaching out to the people that have meant the most to me in my journey and so far 2 of the men that have made the biggest impact on my life have agreed to be on the show! In fact tomorrow I’m sitting down with both Vinnie Tortorich and Able James tomorrow and will try not to fanboy all over them. It’s no exaggeration to say that I wouldn’t be where I am today on this journey without these other podcasts in my ear talking me through the process, especially Vinnie. His was the first one I found and was pretty much my gateway drug to the world of health and fitness. So tell me how you are doing on your journey this week. Please leave a comment below as I love o hear from you guys! PREVIOUS POST Previous post: My Super Simple Guacamole Recipe! I have no doubt you will be back to your schedule, hang in there. I lost a pound this past week. I have to say I have been unmotivated for a couple of weeks. We got back from vacation, I got sick and not I am just lazy. I am working on getting back to where I was. I relish the days when all falls in place and just flows. I am determined to be back. Thank you for posting, the group and the book club. It helps to keep to be involved and informed. Thanks for sharing. Stick with it and we will all get healthy together!